Farhana, 17, saw girls in her community leaving school and being forced into early marriages, and became determined to empower them through education. She left her village for the first time in her life to attend an Oxfam-supported GALS (Gender Action Learning System) training in Larkana, organized by local partner Indus Resource Centre (IRC). The knowledge she gained on women's rights in health, education, and employment opened a world of ideas for her. She returned to the village, opened a learning center in her home with her father's support and trained 20 other girls. Today, she dreams of becoming a teacher for girls who are pressured to stay at home. Farhana hopes to help them imagine a world beyond the confines of their homes so they too feel the freedom to make a choice for themselves. Oxfam in Pakistan works for creating a global movement related to the #16daysofactivism has a big theme of “Free from Fear”. This theme was chosen by looking at the status quo, wherein most societies, sexual harassment, abuse, and discrimination are pervasive at home, in public places, and at the workplaces. 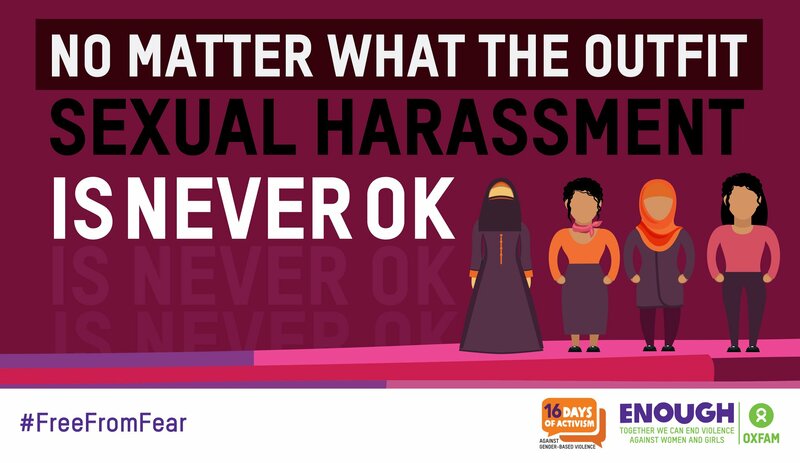 The fear of sexual harassment and violence limits women’s mobility and their social interaction deprives them of the right to self-determination and forces them to be dependent on men. This condition prevents women from accessing economic, social and political opportunities. In the context of Pakistan, fear operates to prevent Pakistani women from achieving their full potential. The fear of violence in the home prevents women from voicing their needs and bearing the burden of care-work and household chores. The fear of negative labels and being socially ostracised prevents them from pursuing their education, careers, and professions of choice and following their dreams. 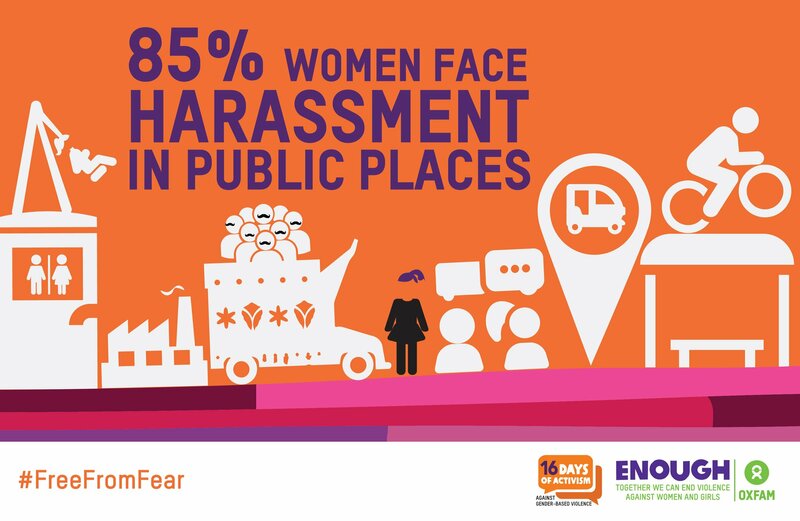 The fear of being subjected to violence and harassment on the streets and public places keeps them housebound and away from economic, social, political, and legal opportunities as equal citizens. And the fear of harassment at the workplace holds them back, prevents them from speaking their mind and achieving the level of attainment they are capable of. 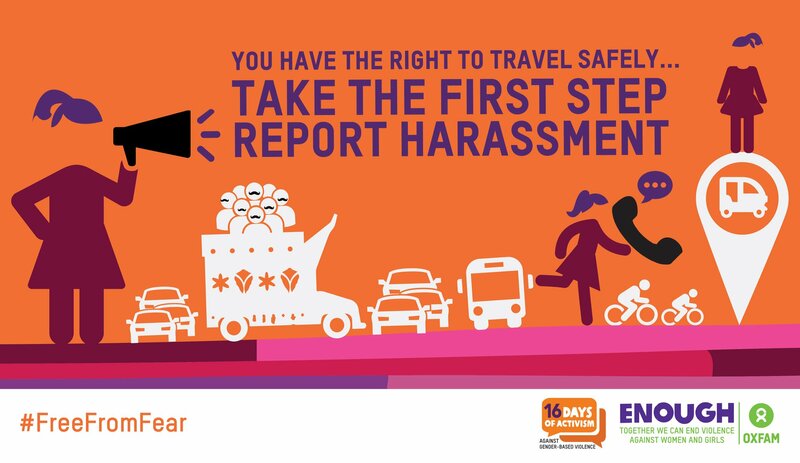 The campaign will be focusing on violence and harassment on public transport, where it will be linking safety in these spaces with economic empowerment and convince our audience that a world free from fear would be a more prosperous and productive world for everyone as women’s ability to access safe, reliable transport enables them to participate in economic activities, access education, health, and other important services.